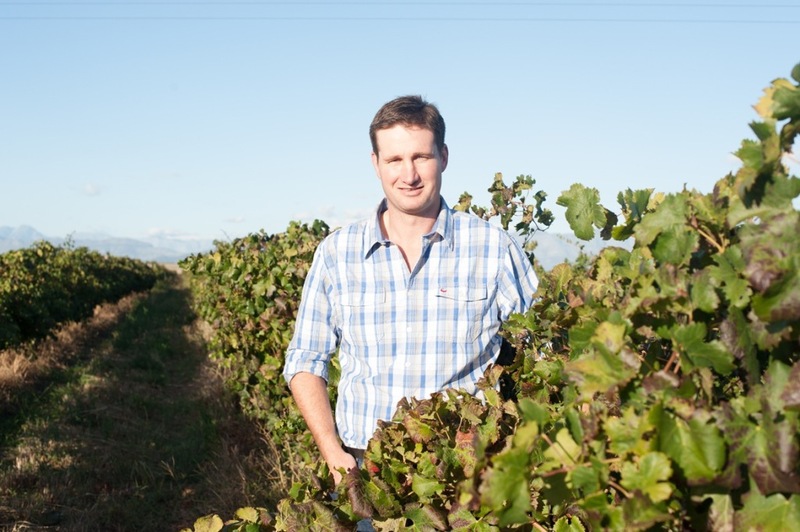 Having been associated with Perdeberg Winery over the past few years, I have watched with great interest as premium ranges have appeared using selected grapes from their mostly bush vine vineyards. The vineyards are dry land farm meaning that they have no access to water. This in turn means smaller bunches and smaller berries, giving a large ratio of skin to juice thus bigger flavour. The Perdeberg The Vineyard Collection started off as a special range made for a supermarket group. It is part of Perdeberg’s premiumisation project where small blocks of very special grapes are separately vinified and bottled as varietal wines. Of these, The Perdeberg Vineyard Collection Malbec is currently available in the 2015 vintage. Malbec is originally a Bordeaux wine grape variety which has done exceptionally well in Argentina. 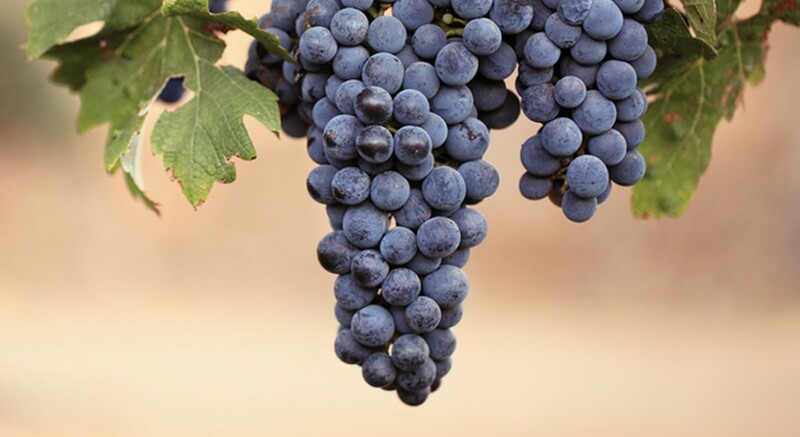 It is Chile’s third most planted red wine grape, and is starting to ruffle its feathers in the Cape where just over 40 producers are bottling Malbec as a single variety wine. Bottled under natural cork in a Burgundy shaped bottle. The label is an indication of the seriousness with which the winery takes this wine. In the glass, it is a deep plum-purple red which pales out to garnet at the rim. A generosity of berry fruits. Typical of the grape, lovely sappy fruity red, black, blueberries ad cherries. Full rich and round. The flavours are reminiscent of rustic berries like mulberries and roadside brambles. Good glass on its own before a meal, chill it slightly. In Argentina, where Malbec reigns supreme, you find the finest beef and the Asado, the Argentinian Braai will introduce you to cuts of beef you have never even heard of before. 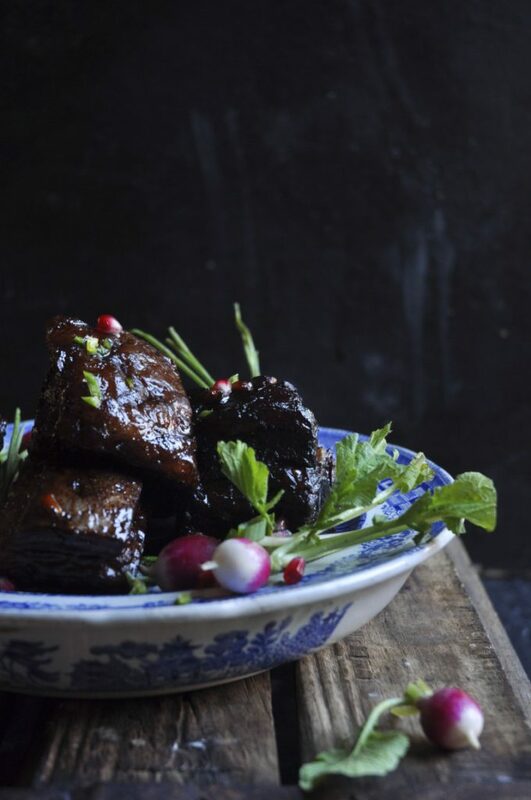 A real classic of a dish in Nina Timm’s Beef Short ribs with Pomegranate and Soy. It is a great match for this wine, each having the oomph to meet the other. Click here to see her recipe.